Inspired by Japanese and Thai cuisine, PLOY (ploy with your food) serves modern Asian cuisine at WORK @ Clearwater in Changkat Semantan. I’ve read reviews about this place from food blogs and recently checked it out with a few friends. The décor screams modern and chic with an edgy twist – some parts reminded me of Tate Modern in London, only plusher. 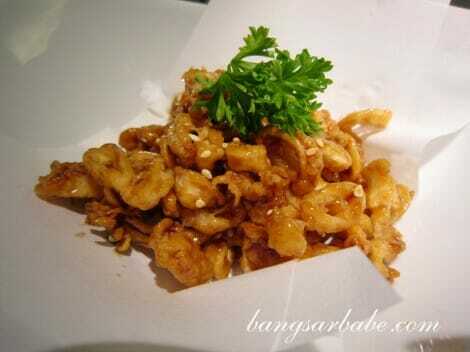 To start, we shared the crispy fried baby squid (RM9) which I found rather average. This tasted like bits of sticky-sweet crackers; edible but hardly memorable. 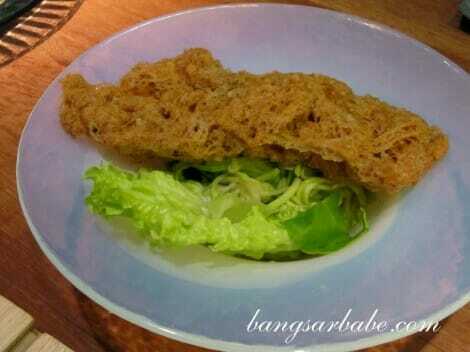 Ploy’s pomelo salad comprised roasted duck, pomelo bits, lime, mint leaves and lettuce. Good combination of flavours and ingredients, but they overdid the dressing which made this a tad cloying. Yum Pla Duk Fu was a Thai mango salad with crispy and pounded catfish. I could taste mango, chilli and batter but not the fish, as it was barely there. 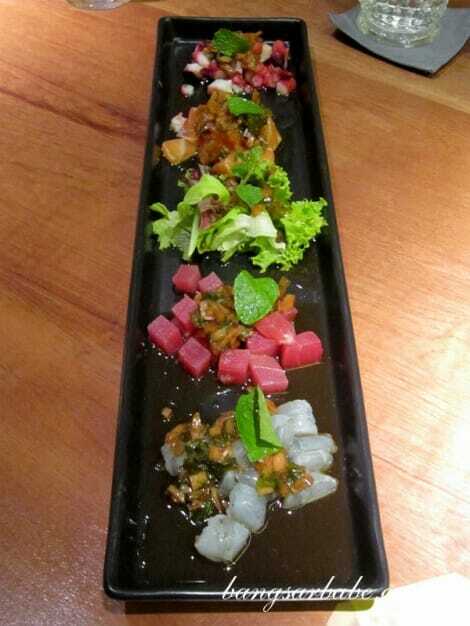 The raw seafood platter had salmon, tuna, prawn and octopus, each with a different dressing. Of the four, I enjoyed the salmon and tuna best. The prawn was a tad slimy while the octopus was tough. rif felt the seafood was diced too small and that the dressing was too overpowering. The blue crabmeat ployzza was a recommended item on the menu, but I didn’t get why. 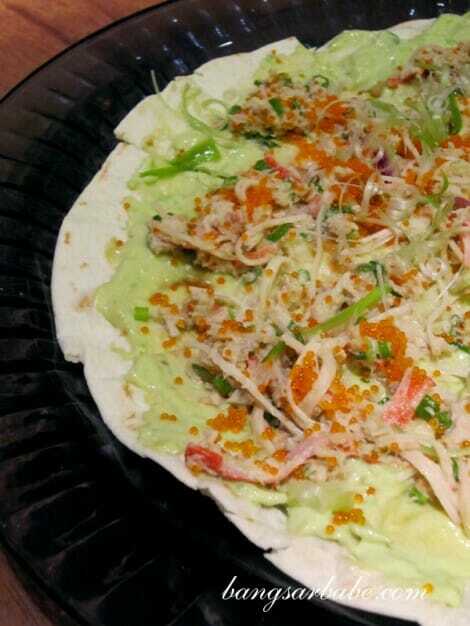 I found the combination of flaky crabmeat, roe, avocado and spring onion weird. That said, some of my dining companions enjoyed it that way. A matter of preference, really. Three is a lucky charm and in Ploy’s case, that applied for their duck confit (RM27) which took three attempts to get right and the chef apologized for this. The first and second time, the centre of the duck was shockingly cold despite its beautifully crisp skin. 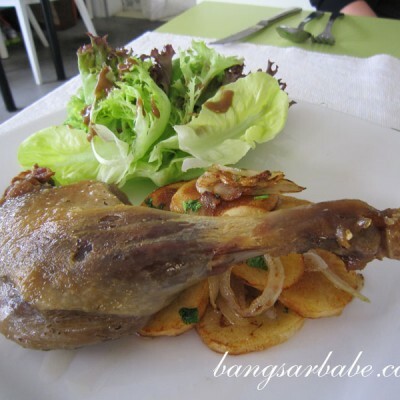 Third time around, the duck confit was good in terms of taste, texture and temperature. My only gripe was the dressing used for the mash potato – it was overly sweet and sticky. 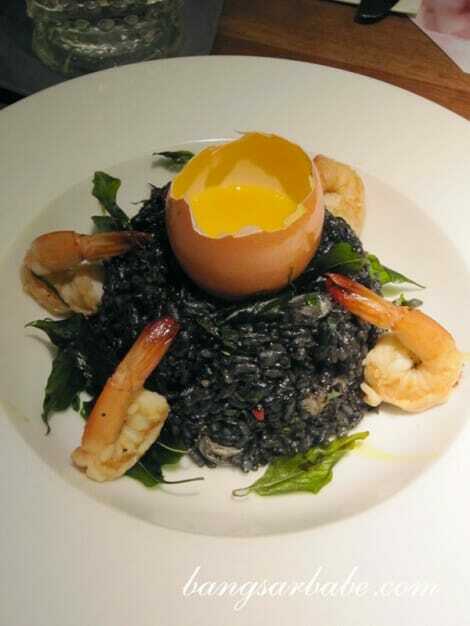 Ploy’s black fried rice (RM25) was a paring of rice, squid ink, seafood and basil with raw egg on top. The egg gave it a creamy touch and I found this dish somewhat elegant because of the colour. 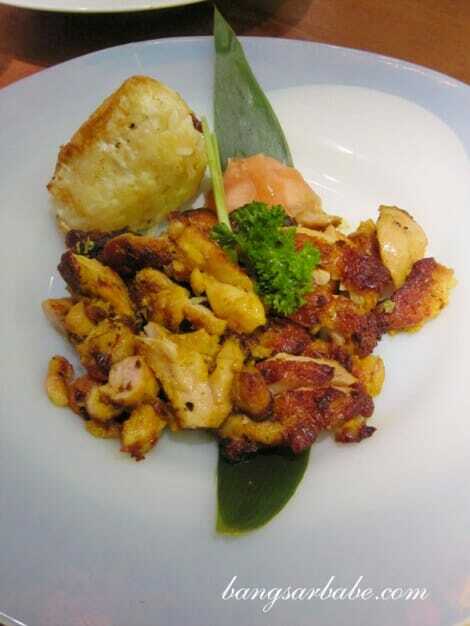 Tastewise, the rice was rightly firm, adequately seasoned and the seafood was fresh. 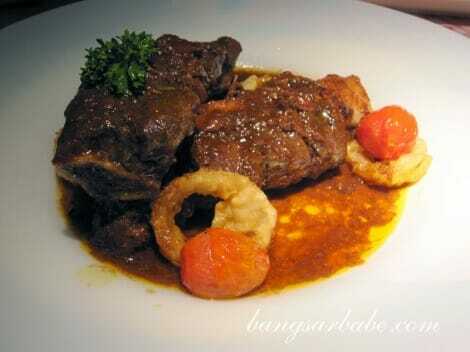 I thought the tender beef ribs (RM36) weren’t as tender as the name claimed. While the smoky-tangy seasoning was lovely, I had to wrestle slightly with the meat before it fell of the bone. 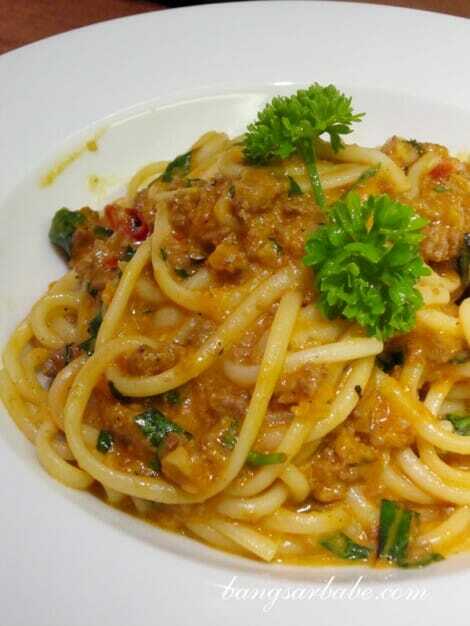 The spaghetti spicy lamb ragout would have been perfect had the pasta been al dente. It was overdone and devoid of any firm or springy texture. The lamb ragout was aromatic, spicy, peppery, savoury and sweet, all at once. Order this, and ask for your pasta to be done al dente. The lemongrass chicken chop was fairly simple with a side of onigiri rice. Tasty, but slightly underwhelming after the black fried rice. Desserts were on the house, as insisted by the chef after our duck confit hiccup. The six of us shared the durian panna cotta, sticky date pudding, chocolate fondant and tub tim krob (Thai red ruby). 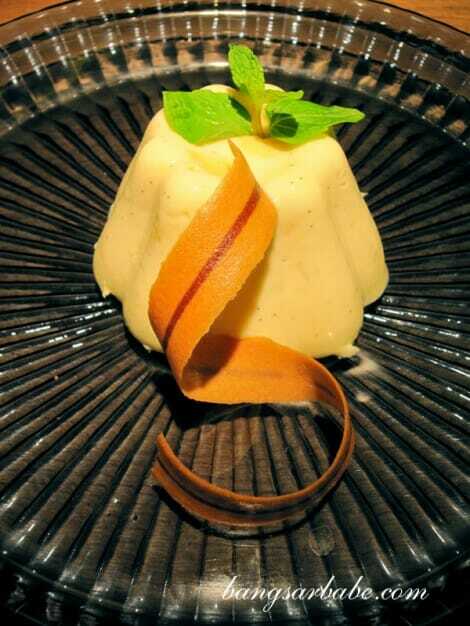 If you love durians, you will enjoy the durian panna cotta, which contains a large amount of fresh durian. 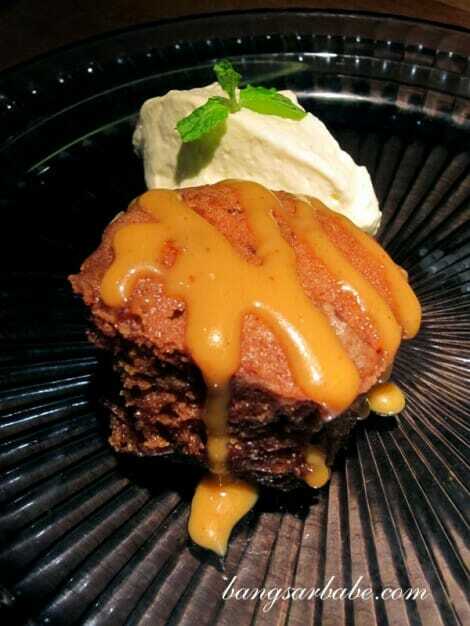 I didn’t care much for the tub tim krob and the sticky date pudding had a kuih-like texture. 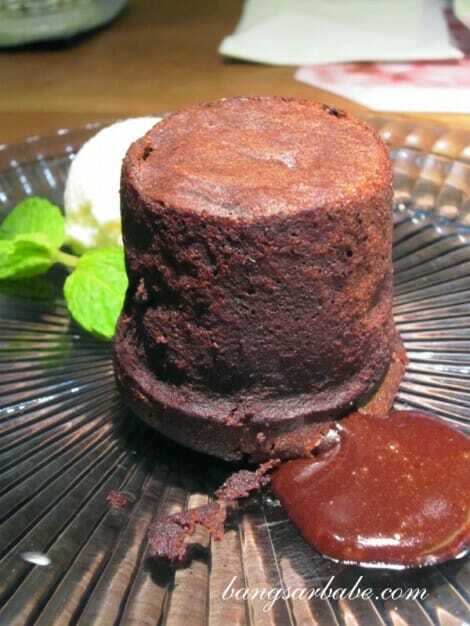 The chocolate fondant however, was nicely done and boasted the perfect ratio of cake and molten centre. 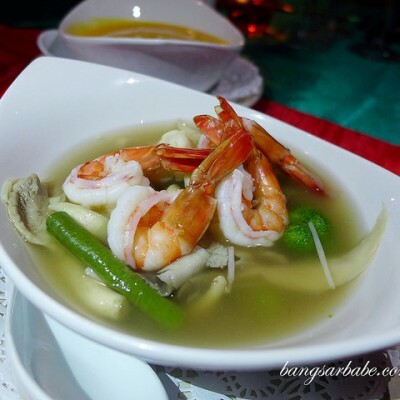 On a whole, I thought the food at Ploy was nothing to shout about, save for a few dishes. That said, it might have been a bad day in the kitchen, and I appreciate that the chef made an effort to rectify the duck confit problem. Service was commendable, albeit slightly jumpy. Verdict: Food is a hit and miss, depending on what you order. When in Jakarta, eat Nasi Padang! do they offer cigars, and can i smoke a cigar there? I’m not sure. You will need to call them to check. wow…you do reply and reply quick…impressive. you are full time blogger? No I’m not. I happen to be online via mobile. if opportunity allows, lets meet up for a good meal, your recommendation…you can contact me at 012 205 3333. i work for Hunter Douglas, VP for Asia. Mmmm….yeah, I’d come here for the fondant. They have a pretty affordable range of wines too! 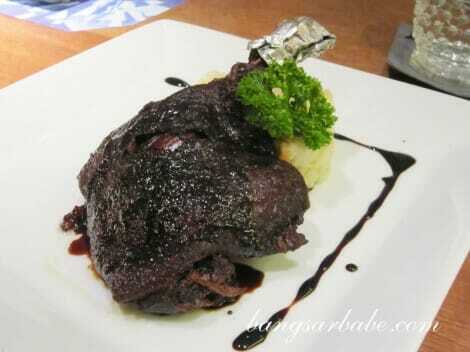 I am a fan of fine dining food with not to forget the nice ambience. I had my meal at PLOY through recommendation. 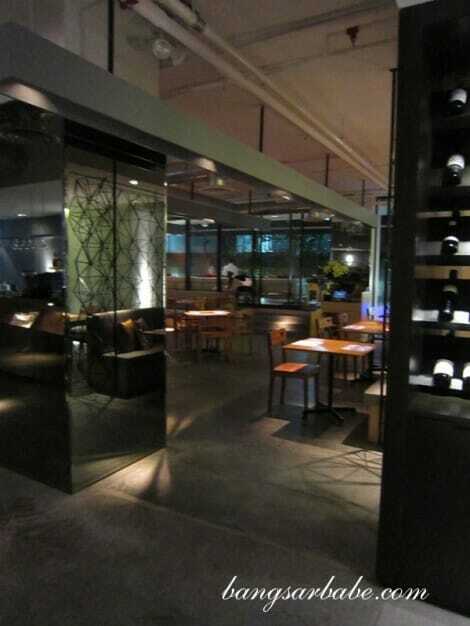 I love the food, ambience and services here. Everything is so perfect. I tried the food such as PLOY black fried rice, SoftShell Crab Salad, Mr BIG Sushi, Spaghetti Lamb Ragout and not to forget the dessert “Durian Panacotta”. I will definitely return for more good food offered.